If any of my tech savvy readers can figure out how to upload this video to YouTube, so I can post it here, please e-mail me. In the meantime, this is Must Watch Video. Kudos to Washington, DC’s FOX 5, which had to the guts to identify by religion the two Muslim men who brutally attacked two gay Georgetown Medical students, telling them, “If you were in my country, we would stone you.” Glad they’re finally acknowledging this isn’t their country. WASHINGTON, D.C. – A pair of men charged with attacking two Georgetown University students went before a judge for the first time on Wednesday, but what happened in the courtroom came as a surprise to many. After the hearing, the parents [DS: the mother was wearing a hijab–Muslim headscarf] of one of the men charged in the attack ran from cameras without saying anything to the media. Both Elorch and Ruddad were denied bond by the judge in the case. Elorch and Ruddad will be back in court on November 12. Where the heck has ICE been until now. They could have prevented this by deporting these two a long time ago. Fortunately, the “Evil Zionist” judge denied them bond, so we know they’ll be forced to show up to court on that date. Judge Weisberg, “Evil Zionist” judge, doing the work that some Americans–ICE–won’t do: Keeping violent criminal illegal aliens locked up. Where they named because the students are gay? Usually its a matter of political correctness not to name Muslims as the attacking party. This is a case in which the Left’s support for both is caught in a culture cross-fire and leftists are blind to the fact that Muslim homophobia far exceeds loathing for homosexuality from other religious groups. Jewish and Christian believers want gays to stop assaulting traditional values like marriage and we’ll leave them alone. Muslims just want them dead, period. You can capture this video by using streaming video capture software. If you google for it, you should find a number of free programs. However, I think that it would be a waste of time since YouTube would ban it in no time due to identifying the perpetrators as Muslim. That FOX says “Muslim” now does not mean FOX will be saying that by the end of the day. Prince “I forgot his name” (the guy who bought part of FOX and whose donation to New York City after 9/11 was returned) has successfully pressured FOX before into deleting any references to Muslims or Islam. Is it wrong to wonder if the mother of one of these two miscreants is mostly likely an illegal alien too? If this is not enough, Bush administration went further to prosecute and jail Border Patrol agents, while grnting immunity to drug-dealer who was chased away. Needless to say, when the President is leaving the borders open, why wouldn’t criminals commit crimes? Further, this crime is committed by muslims. Those who knwo the Bush family, know that Bush family is in Saudi pockets and Saudi Arabis is the epicenter of Islam / terror. Therefore, the above crime should not surprise anyone. The question to ask is, what will Americans do about their corrupt and timid politicians? But I guess Americans rejected patriotic statesmen like Tom Tancredo; and in a democracy, people get the government they deserve. The one person asking the hard but—duh–obvious questions here again is Debbie Schlussel. How/Why does ICE enable these people to stay in this country? What will it take to get them to do their fricking jobs and deport these scum bags? In London we have exactly the same kind of assaults carried by the same kind of people, in this case Bengalis. Plus la change or what? Google: East London Advertiser+homophobic attacks. PS: These attacks happened in George Galloway’s constituency. Liberals and homosexuals have to fight their own battles. Liberals and homosexuals demonized us Christians for decades about intolerance and all their BS. Outrageous that they are illegals and that ICE does nothing. We have warned about Muslims for decades and their “jihad on the West”. As we fight tooth and nail to pass Proposition 8 (preserving traditonal marriage)in California against the gay mafia and they interrupt our church services and tear down our signs, rip off or black mark our bumper stickers and vandalize anything pro traditional marriage, that is their problem. Hate to be mean spirited but We told them so. Debbie, post it to eyeblast.tv instead of YouTube. It’s a conservative video hosting site that is an alternative to YouTube’s liberal censorship. Unless someone stops them, those two medical students will some day be licensed physicians. I’m sorry, but I don’t see any “good guys” in this story. The homosexuals (and PLEASE, stop calling them “gay”!) get no sympathy from me. I want them back in the closet. The time for tolerance is long past. We need to consider our own peril and take measures to insure our own survival. 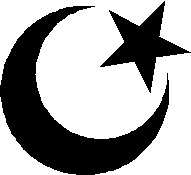 On the other hand, I don’t condone having Islam in our midst, as they have proven themselves to be our mortal enemies. If the law is too corrupted or impotent to effectively protect us, then it’s up to us to protect ourselves and the future of our posterity. We can no longer rely on the ballot box, as there is no real difference between the two major political parties, or their candidates. That means either organizing night riding vigilantes, or instigating an armed revolt to overthrow the current administration. That is the only way to restore our republic, enforce our inalienable rights, and establish our Constitution of the United States as the law of the land. I can’t wait for them to be convicted and sent to jail where they can receive jihad training without the bother of having to work and pay for rent and food. I presume that the country they are from would publically flog them for drinking alcohol. Back home you go, boys. Bye-bye. Q: A moslem and a homo are pushed off the roof of a skyscraper at the same time. Which one hits the ground first? USA can thank POTUS Al-Bush, distant family of Al-Saud for all the muslims in USA. Ofcourse, Al-Bush is just returning favor for bailing (no pun intended) his businesses Arbusto & Harken Emergy. And ofcourse, Americans are thankful to Al-Sauds for 9/11 too. Alert: You’re right. Jorge Bush called Islam a “religion of peace” after 9-11. He botched a golden opportunity to, ahem, encourage them to leave our country. Now the Muslims feel empowered. The lefties are right–Bush IS an idiot. With the way the homos like to flip the bird to Christianity (please see Rosie O’Donnell, etc) they’re not getting much sympathy from a lot of conservatives. Rosie has made her self a spokesman for their side and is pretty typical of them from my run ins with them. They’re VERY liberal and aren’t afraid to tell you. Please see BELLIGERENT. They also aren’t usually afraid to make out and publicly express their affections in front of young children. I didn’t appreciate it when I was in a situation like that in California. Two lesbians holding hands and kissing publicly right in front of my 5 year old son. The guys are even more insolent. Then again if they prosecute these muslim pigs, all the better. I live in D.C., watch the news, read the newspapers, and pride myself for being in the “know”. Yet, this is the first that I’ve heard of this story. Why? Because the MSM has done its utmost to bury it. Musn’t shame the Religion of Pieces. Leftists and their homosexual partners-in-crime have no one to blame but their hateful asses; they got what you wanted but lost what they had. If they want us to help them fight these muslim devils,they better be forced to kiss our asses. And ,and Lefties,if your boy gets elected, expect the attacks to INcrease,not DEcrease. DEBBIE, HAVE YOU SEEN THIS YET? I like Lexi’s “Jorge Bush”. Maybe I’ve been sheltered, but that’s the first time I saw that! I thought all Muslims were ‘legal’ and the rest of the world was wrong.